Israeli archaeologist Prof. Ehud Netzer displays the shard from a 2,000-year-old amphora bearing the name of “Herod the Great, King of Judea” July 9. The unique ceramic shard, found during a recent archaeological dig on the ancient desert fortress of Masada, came from a large amphora used for shipping Italian wine to the king who ruled the holy land at the time of Jesus’ birth. The discovery in question refers to findings posted in April by Israel’s Tel Aviv University, in the Proceedings of the National Academy of Sciences, which demonstrates that it was not only the elites who could read. Finkelstein suggested that what this discovery means is that people in the kingdom had the capacity to write and put together parts of the Old Testament even earlier than it was believed. “There’s a heated discussion regarding the timing of the composition of a critical mass of biblical texts, but to answer this, one must ask a broader question: What were the literacy rates in Judah at the end of the First Temple period? And what were the literacy rates later on?” the researcher elaborated. The Bible states in Genesis 5:1, that Adam, the first man in the Bible, had the ability to speak and write. The Israelites were commanded to write the commands of the Lord on their door posts and bind them on their hands and foreheads (Deuteronomy 6:4–9, 11:18–20), if they could not read or write, what would be the point of these commands? Most conservative biblical scholars who start with God’s Word believe the Old Testament record that the books were written by the persons associated with them or those who claim to have written them. They also accept that these books were written during the time period they claim to have been written in (e.g., the prophet Isaiah during the reigns of the pre-exilic kings Uzziah, Jotham, Ahaz, and Hezekiah). If these books were not written until decades or even centuries after the events happened, the historicity, accuracy, and infallibility of the texts are called into question since they claim to have been written much earlier. The pottery shards discovery in Judah, supports the accuracy of God’s Word, because it shows that Israelites were more literate than many scholars believe. “If history has taught anything, it’s that eventually research and science will confirm Scripture. We have an imperfect and incomplete understanding of history and science, but God’s Word was ultimately written by the God who was there and who never lies (Titus 1:2),” the article added. After reading Bill Cooper’s book you will never read Genesis in the same way again. Bill Cooper is a respected historian and scholar who recently on behalf of the British Library transcribed and edited the latest reprint of William Tyndale’s 1388 translation of the new Testament. He has authored numerous articles and books including the acclaimed After The Flood in which he documents how the earliest Europeans recorded their descent from Noah. Archaeologists and students of history know that museums around the world contain numerous records of the ancient civilizations that lived around the middle east 2,500 years before Christ. A remarkable number contain narratives that are identical or similar to events documented in Genesis particularly the big three: the CREATION account, a WORLDWIDE FLOOD and CONFUSION OF LANGUAGES at the Tower of Babel. 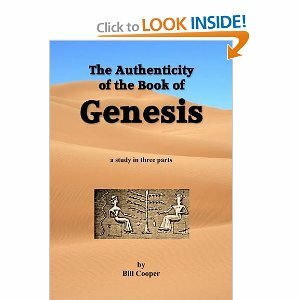 Cooper demonstrates that the weight of evidence points to GENESIS being the original , authentic record of these events. “…its significance is further enhanced by the fact that in most important details it agrees with the biblical version of the deluge in a very remarkable manner – much more so than any other cuneiform version previously known”. It is arguably one of the most precious discoveries ever for those who seek to defend the Bible’s account of history. As with the Flood legends there is an abundance of testimonies from all over the world , concerning the building of a great tower and the subsequent confusion of languages at Babel. If people dispersed out of the Middle East a little over 4,000 years ago, as the Bible indicates, we would expect the descendants of people all over the world to share these common legends of a worldwide flood and confusion of languages but this would not be the case if the secular evolutionary history of mankind is true that people dispersed from Africa around 60,000 to 100,000 years ago. We have looked at evidence/arguments to support the existence for GOD. Let’s now take a look at the evidence to support God’s revelation to us of HIS STORY as revealed in the BIBLE (derived from the Greek meaning simply”The Books”). The Bible is a historical document so let’s first look at the archaeological evidence, does it support the history presented in the Bible concerning its characters and places? It can be stated categorically that no archaeological discovery has ever controverted a single bible reference. When compared against secular accounts of history the bible always demonstrates amazing superiority. Biblical scholar R.D.Wilson (author of A Scientific Investigation of the Old Testament circa 1919) meticulously analysed 29 kings from 10 different nations each of which had corroborating archaeological artefacts. Each king was mentioned in the bible as well as documented by secular historians thus offering a means of comparison. Wilson showed that the kings names as recorded in the bible matched the artefacts perfectly, down to the last jot and tittle. The bible was also accurate in the chronological order of the kings. The secular accounts were often inaccurate and therefore unreliable. Famous historian and archaeologist Sir William Ramsay offers one of the most amazing testimonies regarding the depth of archaeological evidence for the New Testament. Initially Ramsay was very sceptical of the accuracy of the NT and he set out to refute its historicity. He especially took interest in Luke’s accounts in the Gospel of Luke and the Book of Acts which contain numerous geographical and historical references. Dig after dig, the evidence without fail supported Luke’s accounts. Governors mentioned by Luke that many historians never believed existed were confirmed by the evidence excavated by Ramsay’s team. Without a single error Luke was accurate in naming 32 countries, 54 cities and 9 islands. Ramsay became so overwhelmed with the evidence he eventually converted to Christianity. “I began with a mind unfavourable to it but more recently I found myself brought into contact with the Book of Acts as an authority for the topography, antiquities and society of Asia Minor. It was gradually borne upon me that in detail the narrative showed marvellous truth. 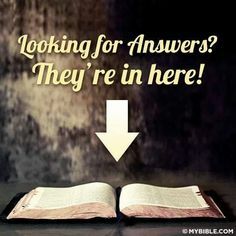 Discoveries ranging from the evidence for the Tower of Babel, to Exodus, to the walls of Jericho, all the way to tombs of contemporaries of St Paul have greatly enhanced the believability of the Bible. Though this vast archaeological evidence does not prove God wrote the Bible, it surely must compel the honest skeptic to at least acknowledge its historical veracity. For more in depth study go to http://www.BibleEvidences.com/Archaeological Evidence.